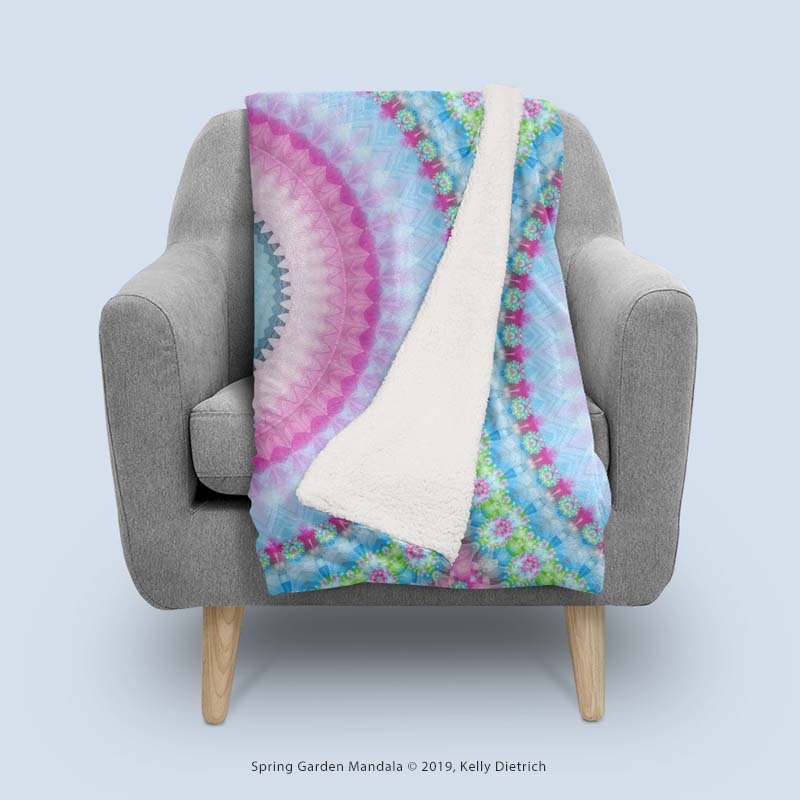 This week’s featured new work is Pastel Pebbles, a fractal pattern with a modern vibe in softer tones of pink, blue, green, yellow, orange, and white. 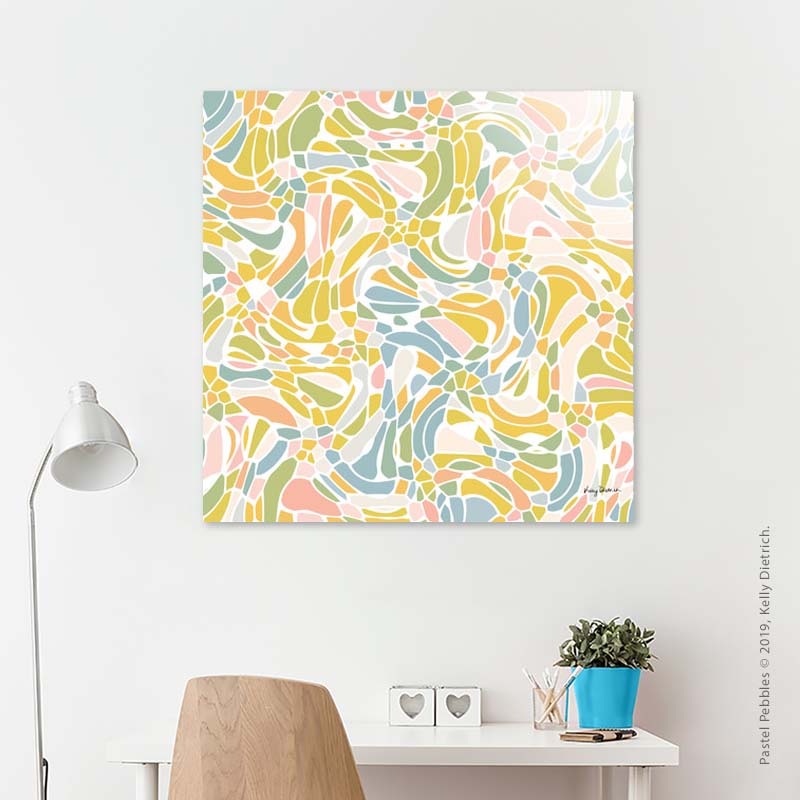 Shown above: acrylic art print from Curioos. 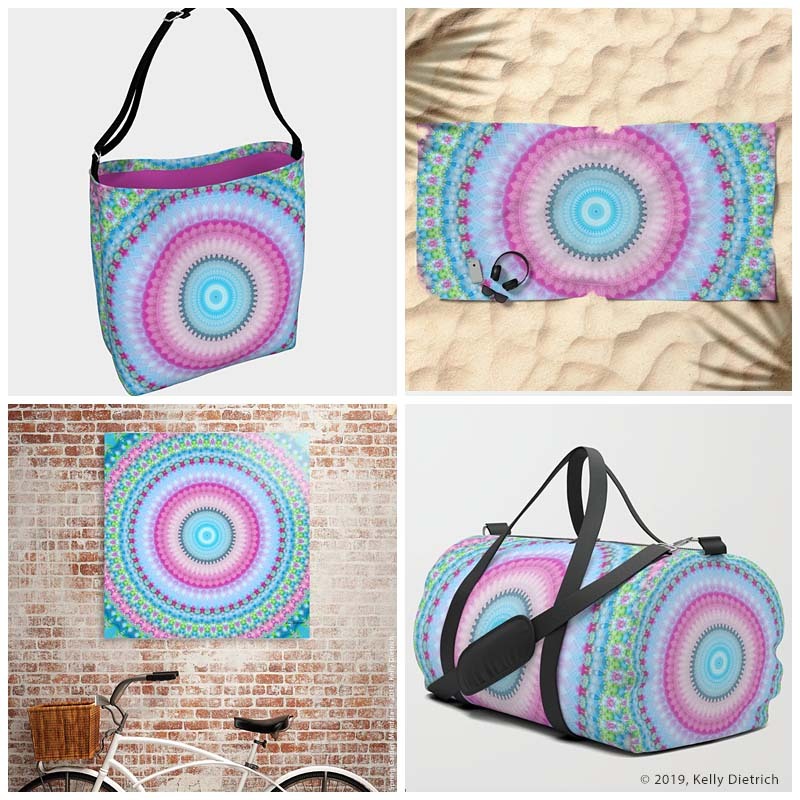 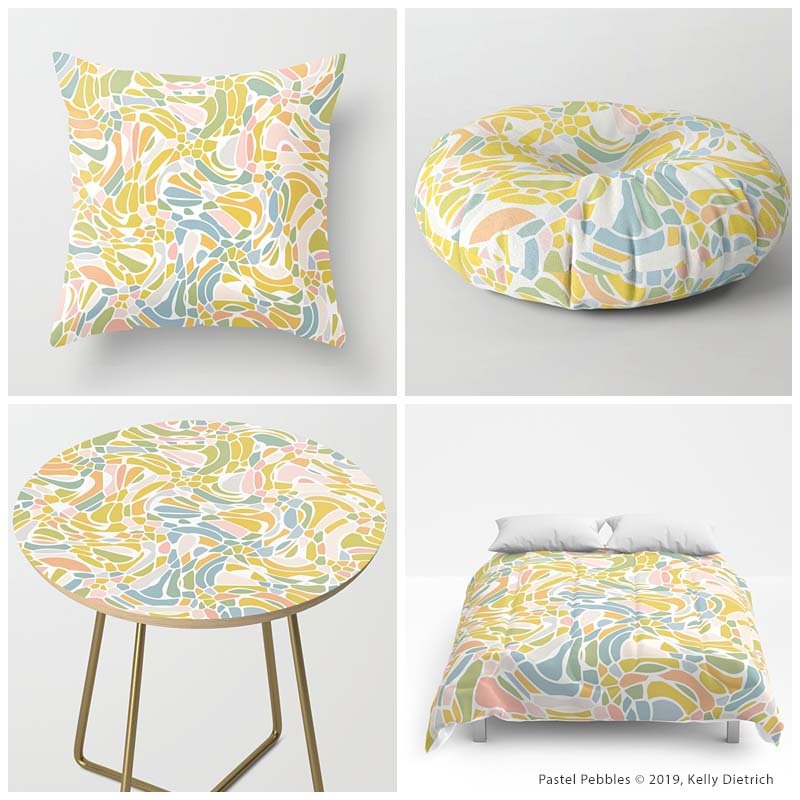 This week’s product collage showcases the Pastel Pebbles design on products from Society6 (beginning top left): indoor and outdoor throw pillow covers, round floor pillow, queen size comforter, and round side table.